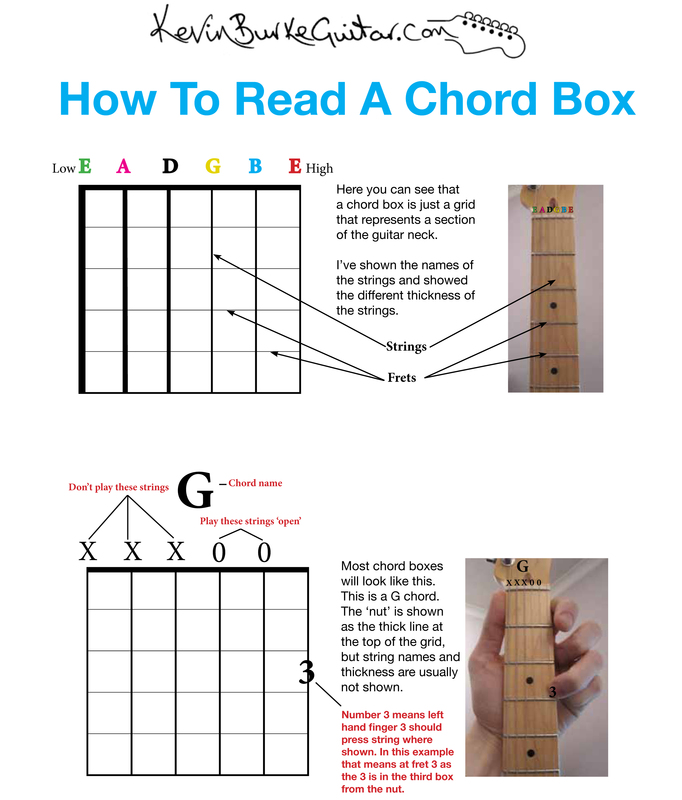 If you can’t read chord boxes then now’s the time to learn. That way, you’ll be able to teach yourself how to play lots of songs and become a guitar legend in your own lifetime! This picture should show you all you need to know. Click the image for a bigger view. Image | This entry was posted in Blog and tagged chord boxes, guitar chord boxes, Guitar Chords, Guitar lesson, how to read chord boxes, Kevin Burke, Kevin Burke Guitar, learn guitar, play guitar, www.kevinburkeguitar.com. Bookmark the permalink.